The Feral team would like to formally invite all past, present and future guests to our little “re-union beach party” on Saturday 7th March 2015. The event will be held @ The Chapel Bar in Angel, Islington, doors open @ 7pm, Free entry to all on our guest list, bar closes at 3am. 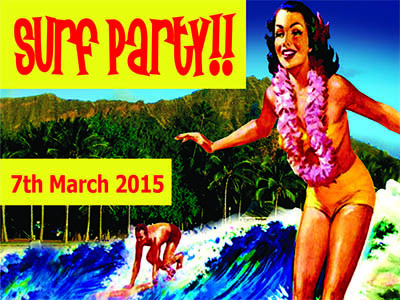 E-mail: phil.cope@feralsurftours.com to RSVP as we will need your names on the door. It is a “BEACH PARTY” theme, so please dress for the occasion, Hawaiian shirts, grass skirts, if you’re feeling brave boards shorts or bikinis… There is a free holiday for the best dressed!! It is also The Big Philippeeays Birthday… He is expecting presents! And will be performing with Stevie Wonder! If you get the chance, please ask him what “the Feral Gobstopper” is!! The closest tube station is “Angel” on the northern line, just one stop from Kings Cross.